The digital space today has a life of its own. It is constantly undergoing rapid changes, and evolving tirelessly. So, trying to keep up with it has become quite the challenge for any business. Before, it used to be simple to get people to notice your static advertisements. But today, you’re advertising alongside businesses with content so innovative that you need to up your ante. How do you enhance your digital marketing campaign? One sure shot way of doing this is by including videos ads in your digital marketing campaign. The way people consume content has changed. Online video ads have surpassed the popularity of blogs, and even television, to become one of the fastest growing mediums. Where can you host videos? Apart from YouTube and Spotify (the two most popular video-hosting websites today), consumers are absorbing content from a plethora of third-party websites. It has been found that YouTube attracts more than one billion visitors every month. With such a large audience, the likelihood of reaching your target group is very high indeed. Additionally, image display ads garner a Click Through Rate (CTR) of 0.11%, whereas video ads garner a CTR of 1.84%. With such a marked difference, it is easy to notice that video ads clearly win you more traffic in your advertising campaigns. The increase in traffic can be attributed to the fact that videos are better at telling stories online, when compared to pictures. With the audience feeling completely engaged, your brand tends to stand out as a more creative one in comparison to your competition. Smartphones are prevalent today. With 3G and 4G connections open to all, users can now view and download video ads whilst on the move. They can also share them with ease via a mobile device.This means that your videos have better reach now, too. The wonderful thing about advertising on YouTube through Google AdWords, is that you only pay when people watch the whole ad, or a minimum of 30 seconds of it. This is great news for your budget, because you end up spending nothing on the off chance that people skip it. While this isn’t necessarily good for your advertising campaign in its entirety, it does help you avoid potential wastage of money on the wrong audience. 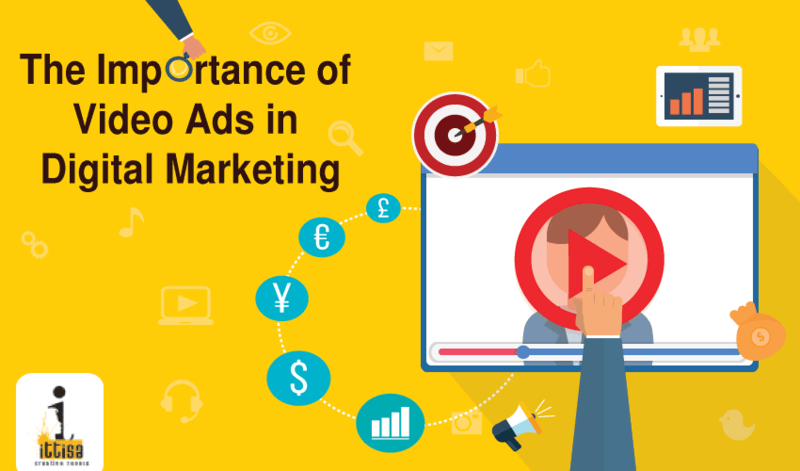 Overall, the use of video advertisement can do wonders for your digital marketing campaign. You will be able to see heightened interaction with your target audience. They key is to bear in mind that you should give creativity and direction priority over the quality of equipment you use to shoot your video. Remember, an interesting video with low production costs is far more likely to appeal to viewers than an average one with high production costs. If you keep all this in mind, and make video ads a part of your campaign, you will notice better results.